We are infatuated by the work of Australian firm, Taylor Cullity Lethlean, this year, which led them to win World Landscape of the Year. 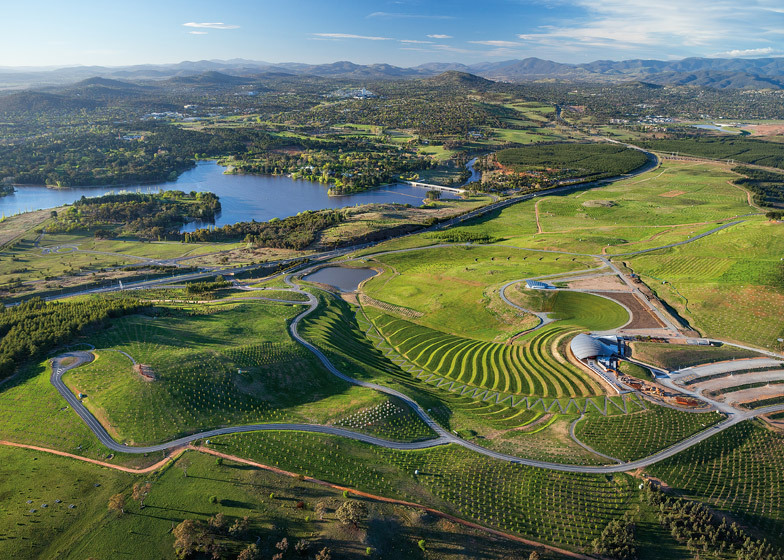 Their beautiful work on the new National Arboretum was outside of Canberra, the capital of Australia. The National Arboretum transformed the once damaged land, saving many endangered trees and plants, into a botanical garden, that includes a dam of recycled water. We love their use of landform and how the landscape is shaved so beautifully, without intensive planting. The article on this masterpiece includes more images that will make you absolutely certain the judges picked the right winner!